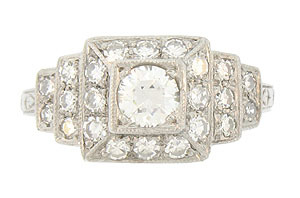 Terraced rows of diamonds adorn this antique style platinum engagement ring. 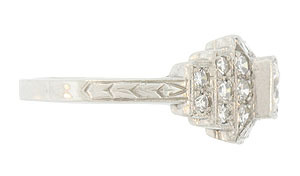 The central stone is a .39 carat G color Vs2 clarity round diamond. 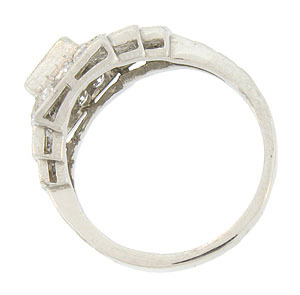 The sides of the wedding ring are engraved with an abstract organic engraving. 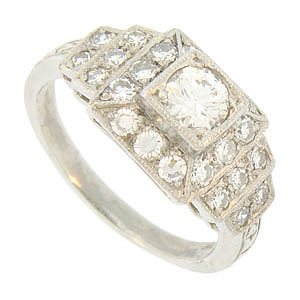 The glittering ring measures 9.53 mm in width. Size: 5 3/4, domed. We can re-size.